MARTIN CO -- On Thursday, April 11, 2019, Martin County Sheriff's Office Corporal Tyler Reed began a drug investigation involving the sale of narcotics in Loogootee. Corporal Reed and multiple plain clothed officers with the Martin County Sheriff's Office observed Zane A. Sanders sell narcotics to an individual. After the transaction was completed, officers converged on Mr. Sanders and he was arrested and drugs were recovered. Corporal Reed then applied for a search warrant through Martin County Prosecutor Wright for Mr. Sanders's residence and it was granted by the Honorable Martin County Circuit Court Judge Lynne E. Ellis. Deputy Larry Gibson, Deputy Rob Lents, Reserve Deputy Jason Greene, Sheriff Travis Roush, Loogootee PD Officer Kevin McBeth, and Corporal Reed then executed the search warrant at approximately 10:30 p.m.
Officers recovered marijuana, cannabis edibles, THC vape cartridges, cocaine, controlled substances, multiple small plastic baggies commonly used to package narcotics, scales, alcohol, and paraphernalia during the search. 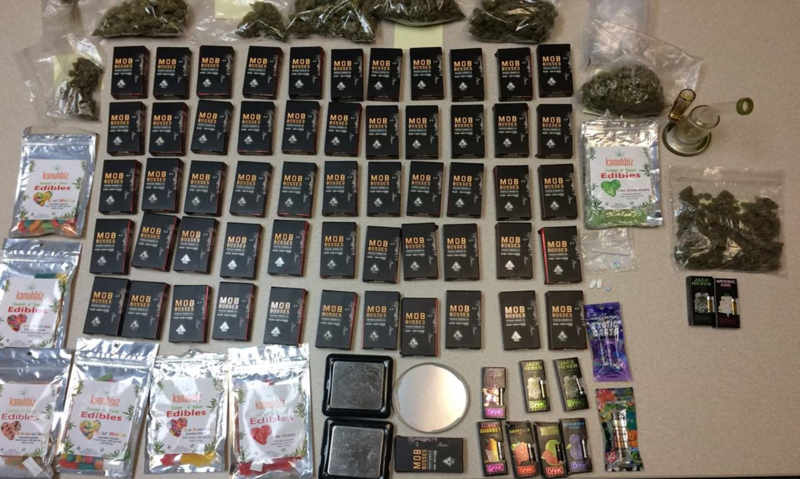 The entire investigation resulted in the seizure of 67 THC vape cartridges, 200 grams of marijuana, 7 bags of cannabis edibles, a small amount of cocaine, paraphernalia, and two controlled substances. Mr. Sanders was lodged in the Martin County Security Center on the listed charges.